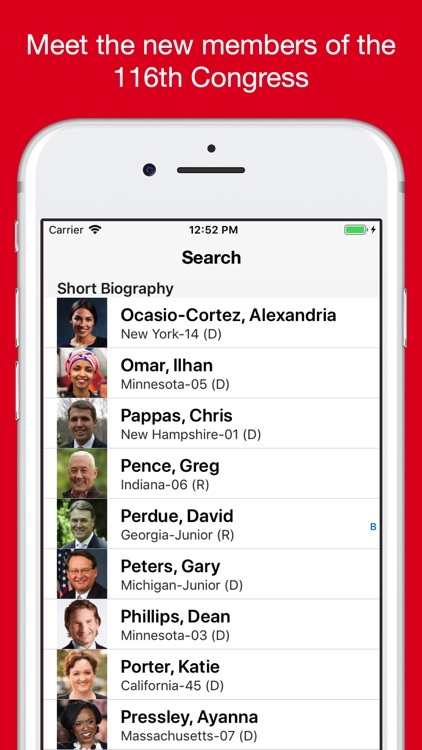 Introducing Congress in Your Pocket, Standard Edition, for the 116th Congress, First Session (2019). 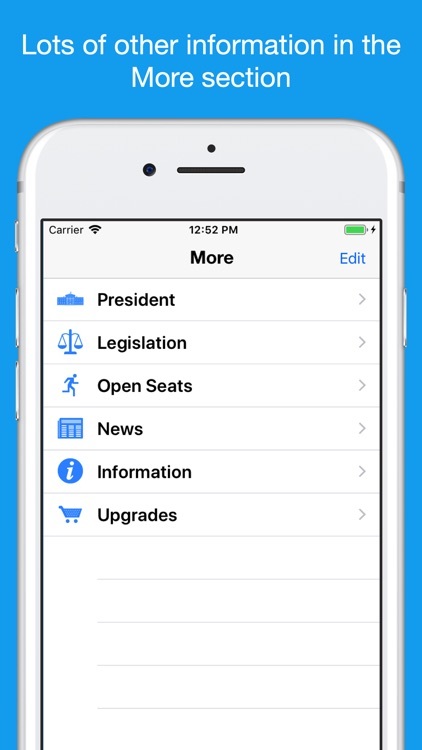 This discounted app requires new users to unlock the new Congress with the in-app purchase. 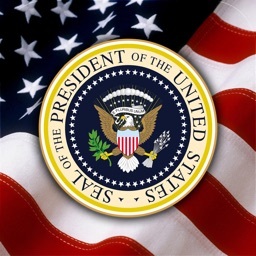 Current users need to pay for the yearly update to get the new Congress that opened on January 3, 2019. The app loads with last year's Congress so you can get a sense of how it works and what is included. This application offers all of the vital information you need to be an active and informed citizen between elections. Learn all about who represents you in Congress, contact them in Washington, follow their campaigns and challengers, read their social networking pages, and see their YouTube videos. Share any link in the application via email, Facebook, or Twitter. Remember, they work on Capitol Hill but they represent you. 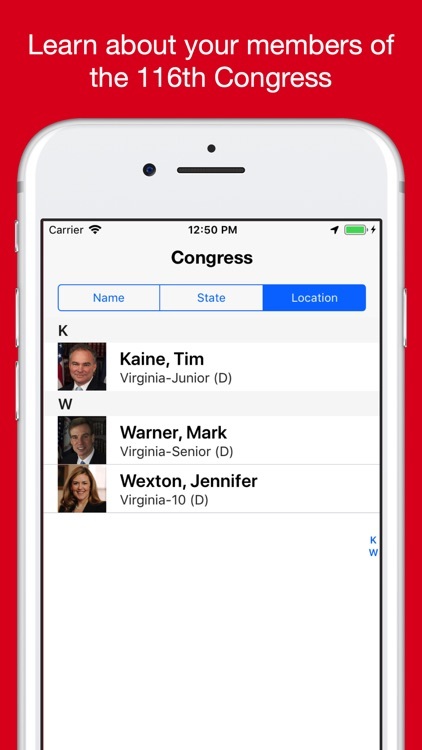 • Washingtonian, "Top iPhone Apps for Washington"
• Oh, My, Gov! 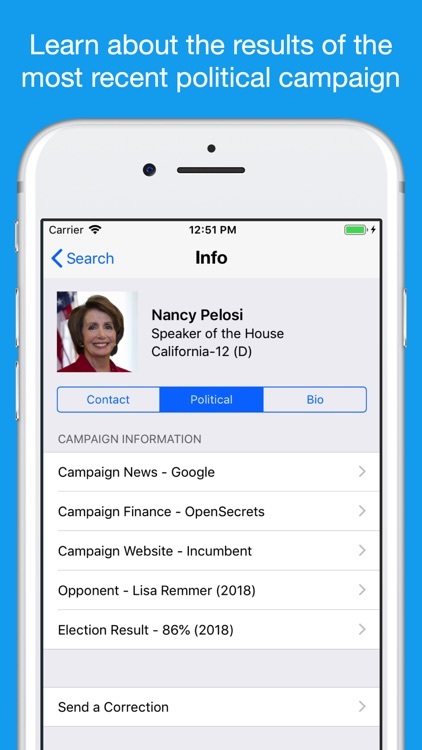 "#1 iPhone App for Government"
• Mashable, "Top 5 Best Apps for Political Junkies"
• BlogCritics, "Top 10 iPhone Application"
Member of Congress's first and last name; title or leadership position, state, senior/junior designation in the Senate and District number in the house, political party affiliation, district map, and biographical information. Washington, DC office address, office map, official website link, member contact form, and telephone number. We also include the member's Facebook, Twitter and YouTube links where available. Incumbent campaign website and percent of the vote won in the most recent election, name of the top opponent and website, campaign news, tracking polls where available, and donor information. Who to contact to register to vote in your state, News, link to the White House website, Campaign Finance, Legislation, Transparency, Ad Watch, and our Twitter page, and answers to frequently-asked questions. 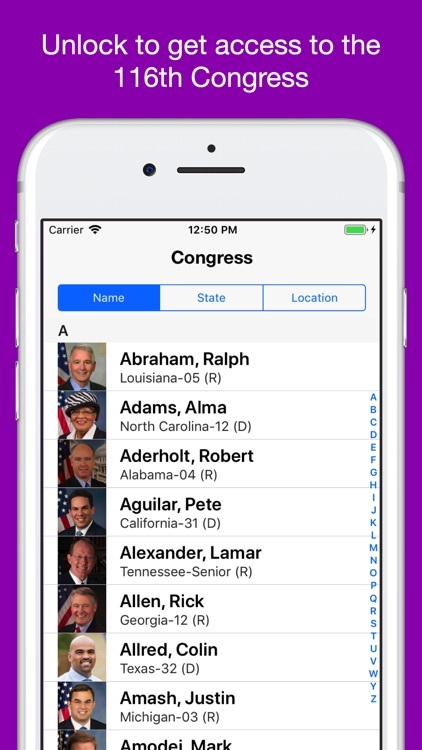 The data in this application is current to the time you unlock the 116h Congress. 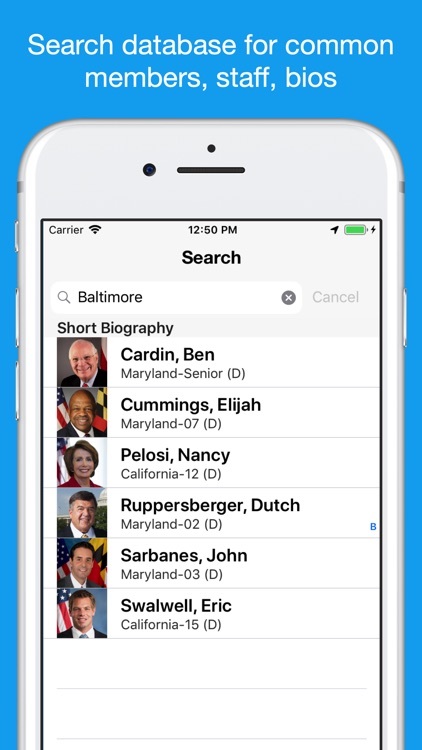 Again, the 116th Congress is an in-app upgrade. 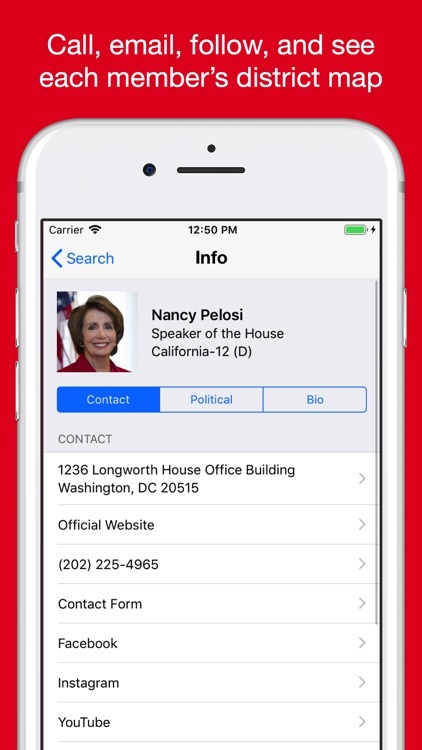 Now on the App Store are Congress+ and CongressPro. 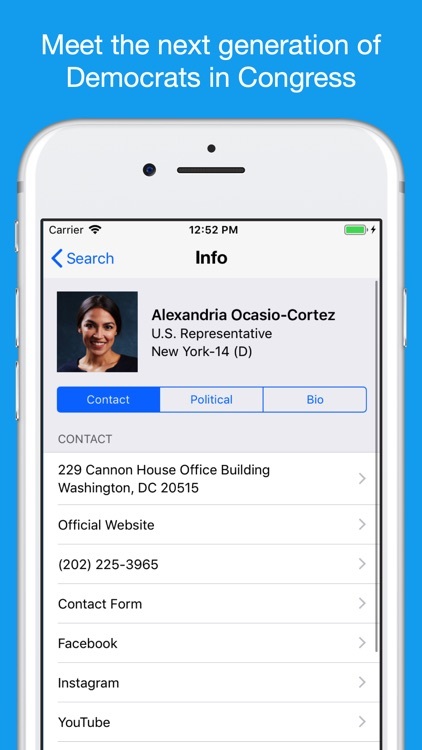 Both add capitol staff names and contact information as well as a section for legislative activity and additional functionality. Congress+ and CongressPro include names and email address links to top staff including: Chief of Staff, Legislative Director, Press Secretary or Communications Director, and the Scheduler. 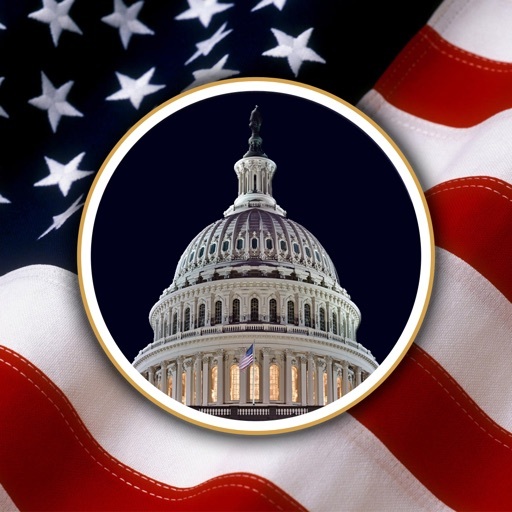 Congress+ and CongressPro include full committee and subcommittee assignments with applicable chair and ranking member designations, sponsored and cosponsored legislation. CongressPro also offers separate pages just for committees and subcommittees and the ability to take notes on your meetings and communications with each member or their staff. If you have a problem with the update, please delete the app and reinstall it. 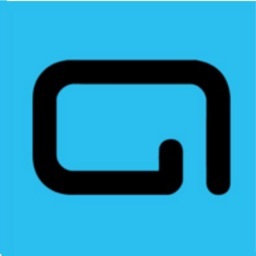 You can also email us directly at [email protected] We respond to every single one. Bad reviews don't help you get your app working. We will.